EDITOR'S NOTE: An earlier version of this story incorrectly cited the value of the settlement with the U.S. government. It is $4.3 billion. Sixteen months after admitting in September 2015 that it cheated U.S. diesel emissions tests, Volkswagen is still battling regulatory investigations, investor and consumer lawsuits, and striving to rebuild its reputation. Here are the key developments in the scandal, based in part on information disclosed in the company's settlement with the U.S. Justice Department on Jan. 11, 2017. May 2006: VW admitted in the Jan. 11, 2017, settlement that between May 2006 and November 2015, VW supervisors and VW employees agreed to deceive U.S. regulators and U.S. customers about whether vehicles complied with U.S. emissions standards. VW designed a new diesel engine, the EA 189 2.0-liter, for use in the United States. When nitrogen oxide (NOx) emissions standards were made more stringent, VW engineers realized they may not meet the new standards. Supervisors then designed a software device to recognize whether the vehicle was undergoing standard U.S. emissions testing on a dynamometer. This allowed the engine to be calibrated to meet the tests, when it was unable to do so under normal road driving conditions. Engineers from VW's Audi brand designed a 3-liter diesel engine for the U.S. market. In order to pass U.S. emissions tests, Audi engineers designed and installed software to detect testing. May 17, 2006: A VW engineer sent an email to employees in the VW Brand Engine Development department that described aspects of the software and cautioned against using it in its current form because it was a mechanism to detect, evade and defeat U.S. emissions cycles and tests. November 2006: VW employees briefed a supervisor on the purpose and design of the "defeat device." During the meeting, the supervisor decided that VW should continue with the production of the defeat device, and instructed those in attendance, in sum and substance "not to get caught." April 2013: VW increased the likelihood that the vehicle could detect an emissions test by activating a "steering wheel angle recognition" feature. During an emissions test the steering wheel is not turned. VW then installed the software in new and existing vehicles through software updates during maintenance. March 2014: In or around March 2014, certain VW employees learned of the results of a study into VW diesel engines undertaken by West Virginia University's Center for Alternative Fuels, Engines and Emissions and commissioned by the International Council on Clean Transportation (ICCT). In response, the VW Brand Engine Development department formed a task force to formulate responses to questions that arose from the U.S. regulators. Supervisors subsequently decided to pursue a strategy of concealing the defeat device in responding to questions from U.S. regulators, while appearing to cooperate. May 2014: The California Air Resources Board (CARB) receives the study published by the ICCT which shows NOx values for VW diesel vehicles deviate significantly between bench testing and road operation. CARB requests an explanation from VW. May 23, 2014: A memo about the ICCT study is prepared for Martin Winterkorn, then VW group CEO, which was included in what the company calls his "extensive weekend email." VW says it has not been documented as to whether, or how much, Winterkorn took notice of the memo. Nov. 14, 2014: Winterkorn receives another memo that contains, among other items, information on current product defects and which refers to costs of approximately 20 million euros ($22 million) for the diesel issue in North America. December 2014: VW offers to recalibrate the first- and second-generation EA 189 diesel engines as part of regular service work in the hope that the engines will then pass muster with CARB. That year, Winterkorn received information on problems with U.S. diesel emissions tests. The issue "did not initially receive particular attention at the management levels" since management regarded it as a "technical problem that did not differ from other everyday technical problems," VW said in a 2016 statement summarizing its response to a shareholder lawsuit. Summer 2015: VW's Committee for Product Safety (APS) establishes a diesel task force after CARB tests show modified engines still produce excessive levels of NOx. VW retains U.S. law firm Kirkland & Ellis to advise on questions related to U.S. emissions law. July 27, 2015: After U.S. regulators threatened not to certify VW model year 2016 vehicles for sale in the United States, some VW employees discuss the U.S. diesel problems on the sidelines of a regular meeting about damage and product issues, in the presence of Winterkorn and Herbert Diess, head of the VW brand. VW says it is still constructing details of the meeting, and establishing whether those present understood the change in software violated U.S. regulations. VW says Winterkorn asked for further clarification of the issue. Aug. 18, 2015: Supervisors approved a script to be followed by VW employees during an upcoming meeting with CARB in California on or about Aug. 19, 2015. The script provided for continued concealment of the defeat device. End of August, 2015: VW technicians give a full explanation of causes for discrepancies in NOx emissions to VW's in-house lawyers as well to U.S. attorneys from Kirkland & Ellis. A management board member -- not identified by VW -- realizes the software changes constitute a defeat device prohibited under U.S. law. Aug. 27, 2015: VW Group of America's legal team sent a text of a litigation hold notice to "Attorney A" in VW's Wolfsburg office that would require recipients to preserve and retain records in their control. "Attorney A indicated to his staff on August 31 that the hold would be sent out at VW AG on September 1 ... Attorney A indicated that a hold was imminent, and that these engineers should check their documents, which multiple participants understood to mean that they should delete documents prior to the hold being issued," according to the Justice Department settlement. "Within VW AG and Audi AG, thousands of documents were deleted by approximately 40 VW AG and Audi AG employees." 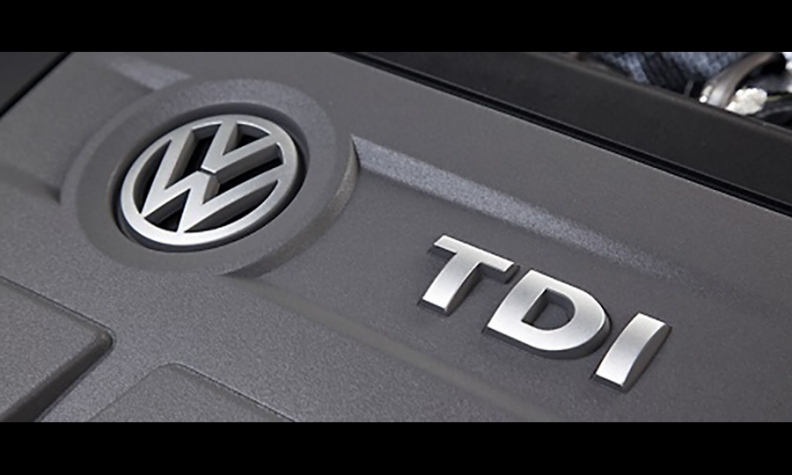 Sept. 3, 2015: VW formally communicates information about the defeat device to CARB and the U.S. Environmental Protection Agency (EPA) during a meeting. Winterkorn is informed in a note, dated Sept. 4. Sept. 18, 2015: The EPA issues a public notice of violation of the Clean Air Act to VW, alleging that model year 2009-2015 VW and Audi diesel cars with 2.0-liter engine included defeat devices. The disclosure by U.S. regulators comes as a surprise to VW which had hoped to resolve the case "amicably" with U.S. authorities without having to make a disclosure. VW admits to 11 million vehicles affected worldwide. Sept. 23, 2015: Winterkorn resigns, saying his departure cleared the way for a "fresh start." Sept. 25, 2015: VW appoints Matthias Mueller, head of its Porsche unit, as new CEO. Oct. 14, 2015: Winfried Vahland, a company veteran designated to head up operations in the U.S. from Nov. 1, 2015 onwards, unexpectedly quits. Jan. 4, 2016: The U.S. Justice Department files a civil suit against VW seeking up to $46 billion for Clean Air Act violations. March 29, 2016: The U.S. Federal Trade Commission files a lawsuit against VW for false advertising over claims that diesel vehicles were environmentally friendly, saying U.S. consumers suffered "billions of dollars in injury." April 22, 2016: VW posts a 4.1 billion euros operating loss for 2015, thanks a 16.2 billion euros hit to pay for the emissions scandal. Sept. 9, 2016: A Volkswagen engineer, James Liang, pleaded guilty in a U.S. court for his role in rigging emissions software on 2.0-liter diesels sold in the U.S., marking the first criminal charge in the U.S. government’s probe into the VW scandal. Liang was expected to cooperate with the U.S. investigation. He faces sentencing in May 2017. Oct. 25, 2016: U.S. District Judge Charles Breyer in San Francisco signs off on a settlement with federal and California regulators. VW agrees to spend up to $10.03 billion on vehicle buybacks and owner compensation and $4.7 billion on programs to offset excess emissions and boost clean-vehicle projects. Nov. 22, 2016: VW says it will stop selling diesel vehicles in the U.S.
Dec. 22, 2016: U.S. District Judge Breyer says an agreement in principle has been reached to provide "substantial compensation" to owners of about 80,000 3.0-liter diesel vehicles. Jan. 4, 2017: VW says CEO Mueller will skip the Detroit auto show. Jan. 9, 2017: Oliver Schmidt, a longtime VW executive who once presided over its U.S. regulatory matters, is arrested in Miami on his way home to Germany from vacation. Jan. 10, 2017: VW says it is in advanced talks with the U.S. Department of Justice and U.S. Customs and Border protection to reach a $4.3 billion settlement of criminal investigations and legal fines in connection with the emissions cheating. Jan. 11, 2017: VW's supervisory board meets to discuss U.S. settlement. Jan. 11, 2017: Six VW executives are indicted, including Schmidt, in U.S. District Court and the U.S. announces the $4.3 billion criminal settlement. Announcing the settlement with the U.S. Justice Department, U.S. Attorney General Loretta E. Lynch says at a press conference in Washington: "This announcement does not mean that our investigation is complete ... We will continue to pursue the individuals responsible for orchestrating this damaging conspiracy."